Small business owners and operators always have to wear many different hats! Human Resources is often a function which is left behind as a business continues to grow and brings on more workers. Gaps are often brought to light when Safety Management System development begins. Below you will find some sample templates and links to external resources which provide instruction and guidance on where to start, what to include, and why this function is important. If you have any questions on the information provided or on the importance of Human Resources to safety please contact us. Please feel free to modify the samples to fit your individual business needs. 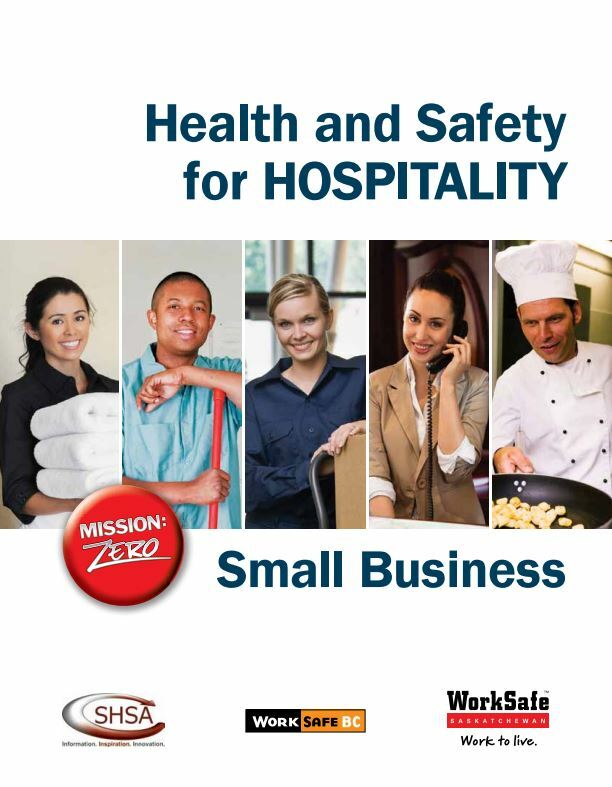 Let us present to you the very first edition of the Health & Safety for Hospitality for Small Business handbook! Service Hospitality teamed up with WCB, WorkSafeBC and WorkSafe Saskatchewan to present this document to you, the reader! This all wouldn’t have been possible without the generous assistance of the people and organizations in the hotel and restaurant industries so, thank you! Various other risks such as overexertion, burns, unguarded machinery, etc. All information provided herein is for informational purposes only. Service Hospitality endeavors to ensure that the information is as current and accurate as possible however errors do occasionally occur. Service Hospitality is not responsible or liable for any consequence resulting from acting upon the contents of this site. You should seek independent legal advice if you need assistance on the application of the law to your situation. Service Hospitality accepts no responsibility for any loss, damage or inconvenience caused as a result of reliance on such information. Service Hospitality cannot control the content or take responsibility for pages maintained by external providers. Where we provide links to sites, we do not by doing so endorse any information or opinions appearing in them. We accept no liability whatsoever over the availability of linked pages.